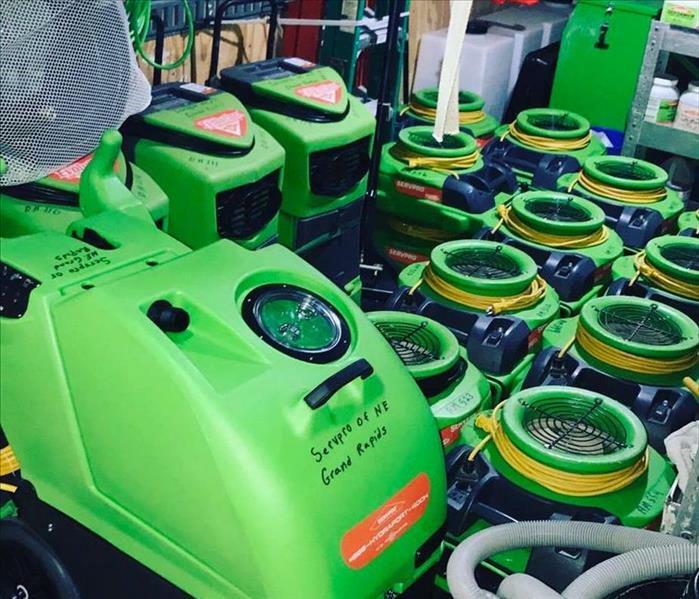 The Team here at SERVPRO of Big Rapids/Fremont are always quick to respond to any type of loss. We are always prepared for any size loss and always ready to take care of it quickly and correctly. When you need us we will be there to help in a flash. 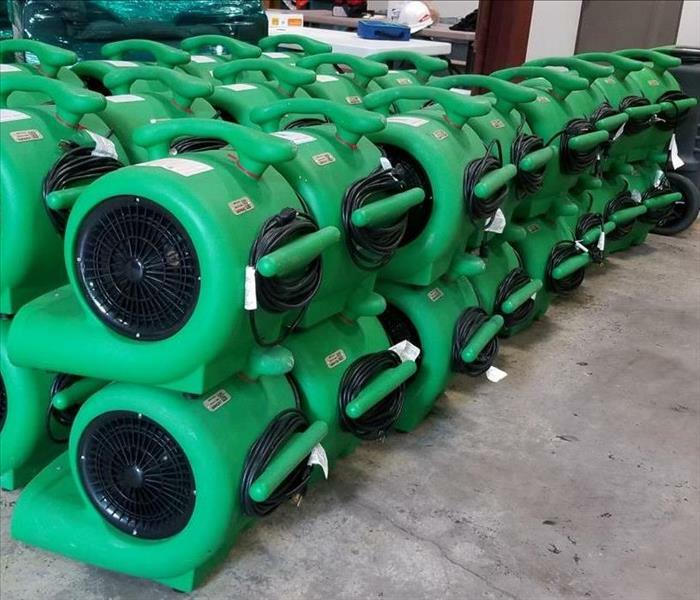 The Team here at SERVPRO of Big Rapids/Fremont are always quick to respond to water loss in your business. When this customer discovered water damage on their property they called us to take care of it. Within hours we responded to help. We quickly removed the water from the area and set up our equipment for the structure to dry. 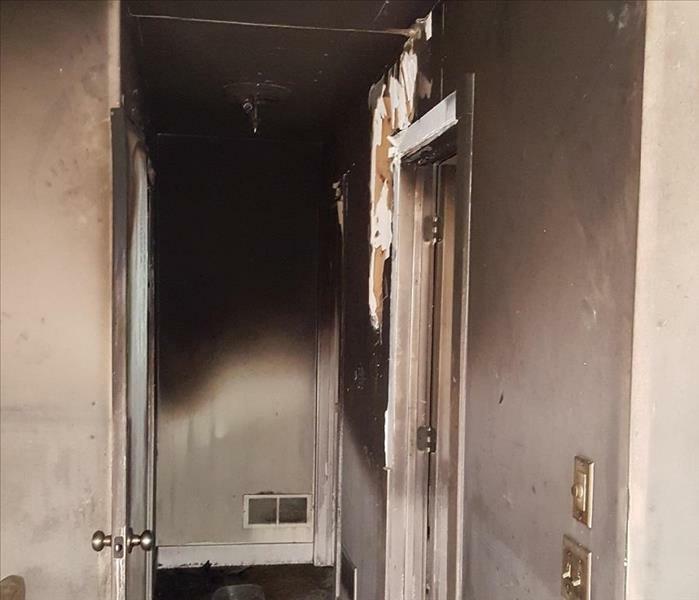 The Team here at SERVPRO of Big Rapids/Fremont are always quick to respond to Fire Damage in your home. When this customer had a fire loss we began with demo on majority of the home to remove all damaged materials. 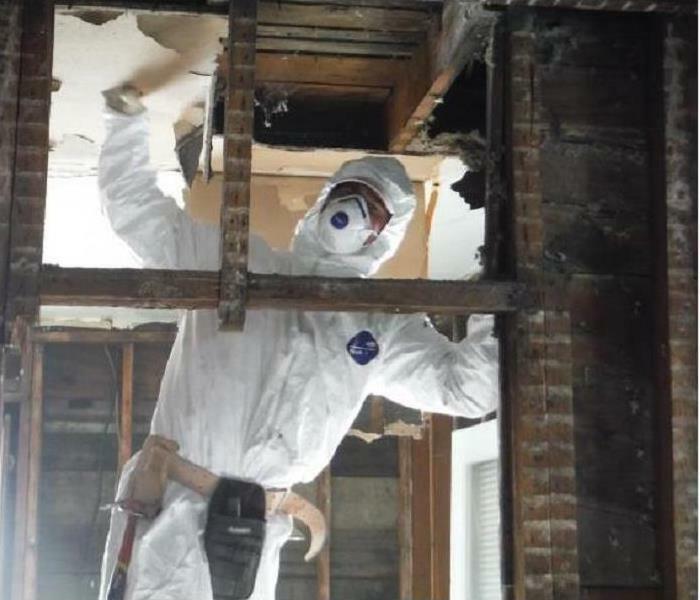 We use a cleaning technique called soda blasting to remove any further damage to framing in the home to prepare for future reconstruction. 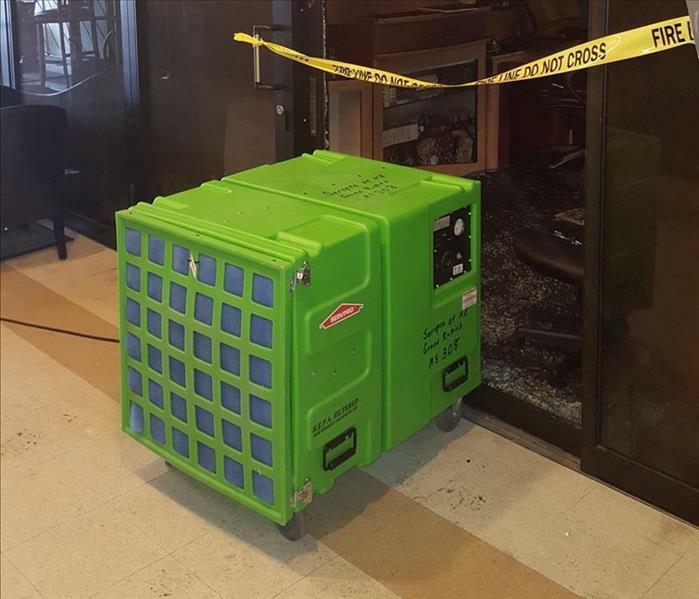 The Team here at SERVPRO of Big Rapids/Fremont are always quick to respond to Fire Damage in your business. We set equipment like this one pictured that provides the air to filter in an area affected by smoke damage. 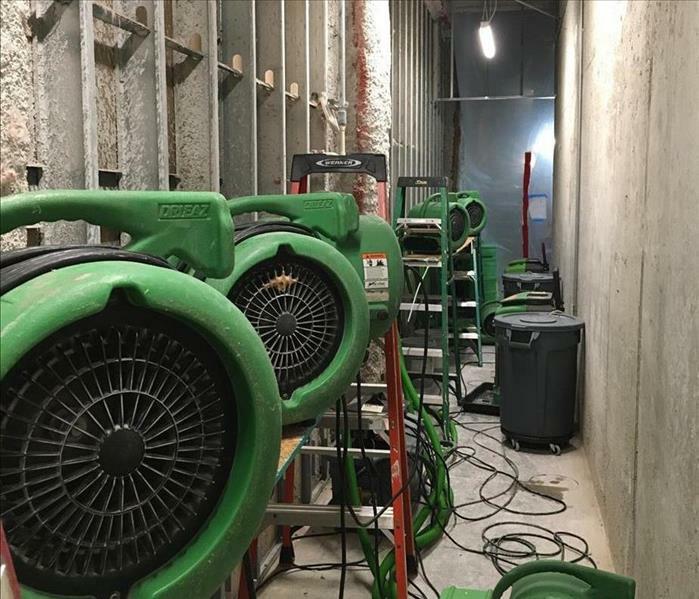 This technique of cleaning is important because it cleans the dirty air on the job site and preventing future smoke damage to the property. When this customer faced a fire on their property that were in the need of help securing their belongings. 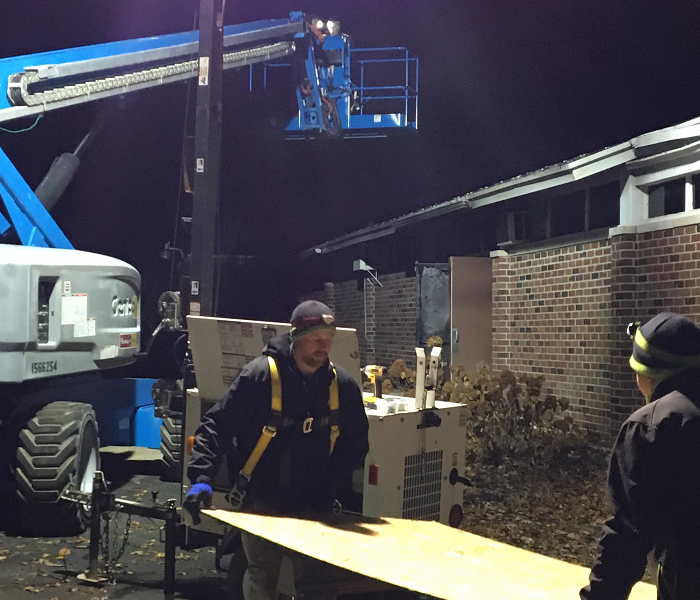 Our crews worked throughout the night making sure to Board-up the area and structure to secure everything for future cleaning. The Team here at SERVPRO of Big Rapids/Fremont are always quick to respond to any size situation with our trucks ready at any time 24/7. 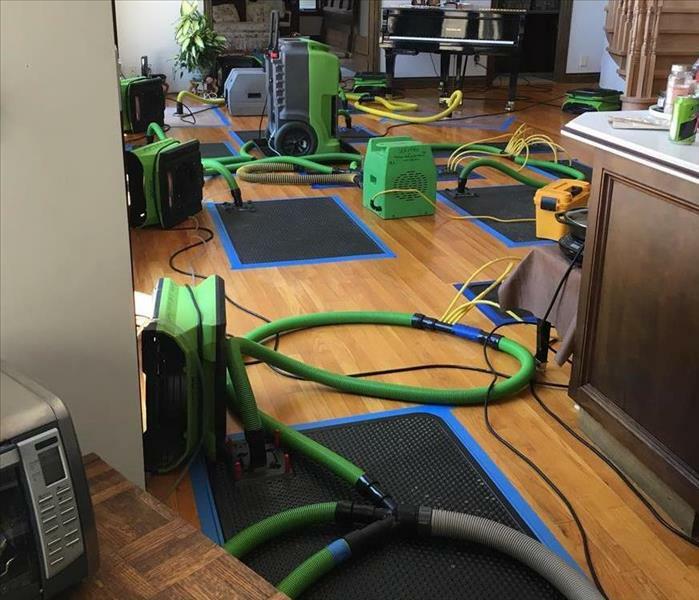 When this customers home had a water loss we were there in a flash to set out drying mats to start the drying process for their hardwood floors. We take pride in knowing that within moments something can happen so we can be there fast to help you! The Team here at SERVPRO of Big Rapids/Fremont are always quick to respond to any size situation with our trucks ready at any time 24/7. When Hurricane Irma flooded houses everywhere we had to take action. When it came to drying the homes out we had to do some serious demo to make sure the job got done right. We take pride in knowing that within moments something can happen so we can be there fast to help you! The Team here at SERVPRO of Big Rapids/Fremont are always quick to respond to any size situation with our trucks ready at any time 24/7. When Hurricane Irma took over Florida we packed up and headed south to help those in need. With long days and nights of house demo and mitigation we ended up helping a lot of people. We take pride in knowing that within moments something can happen so we can be there fast to help you! Open for Business in a Flash! 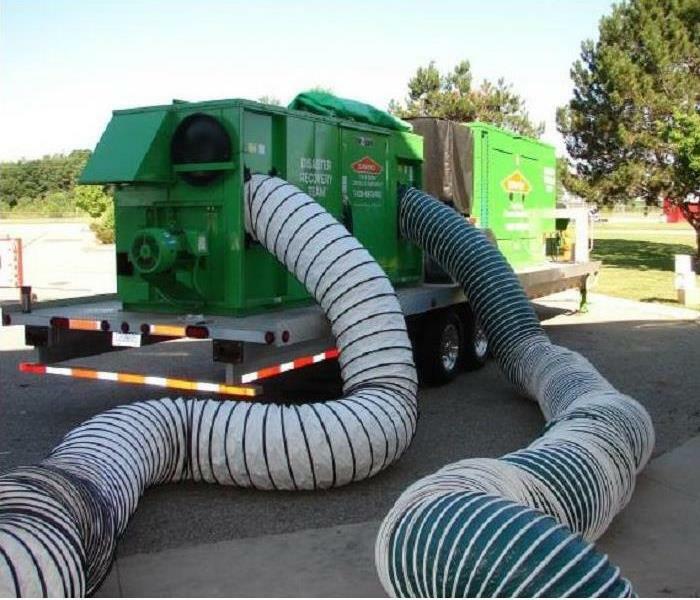 The Team here at SERVPRO of Big Rapids/Fremont are always quick to respond to any size situation for your Business needs. 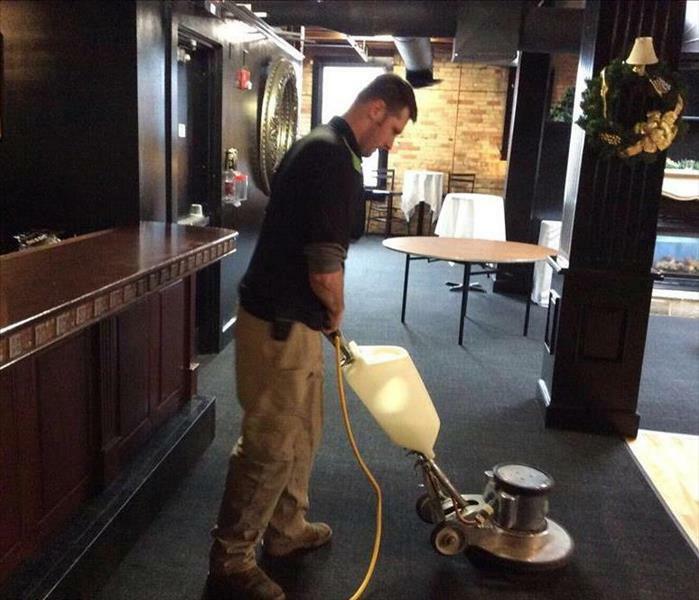 Even if you just need your carpets cleaned for an event or something bigger. We take pride in knowing that within moments something can happen and We are ready to help you 24/7! 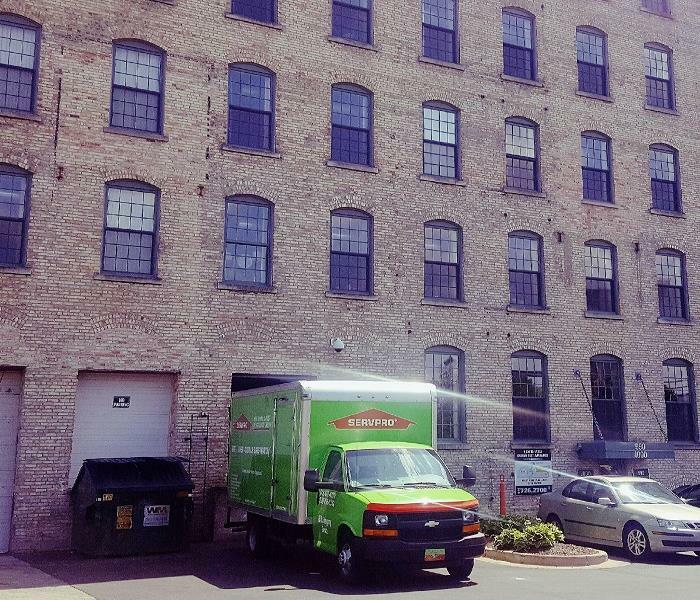 The Team here at SERVPRO of Big Rapids/Fremont are always quick to respond to a business that was concerned about mold. We arrived and used our equipment to find on the wall was mold growth and moisture. 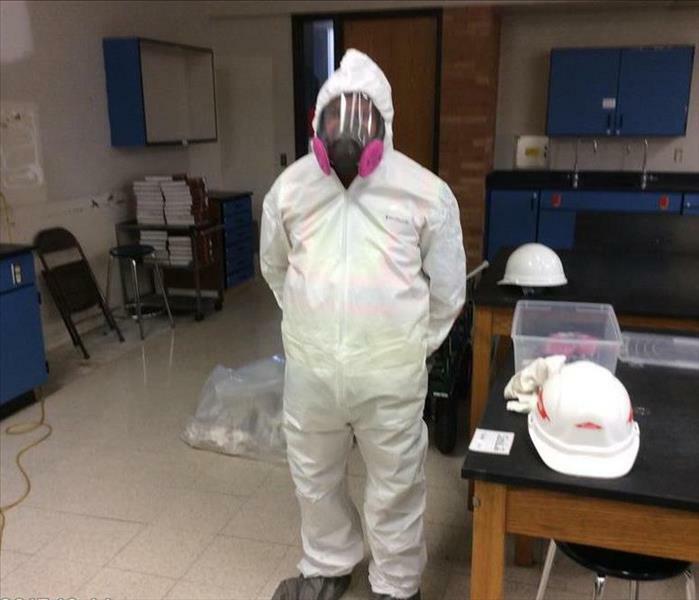 With mold we have to take safety seriously of course. We first start by setting up containment to prevent spread of the mold into the rest of the business. 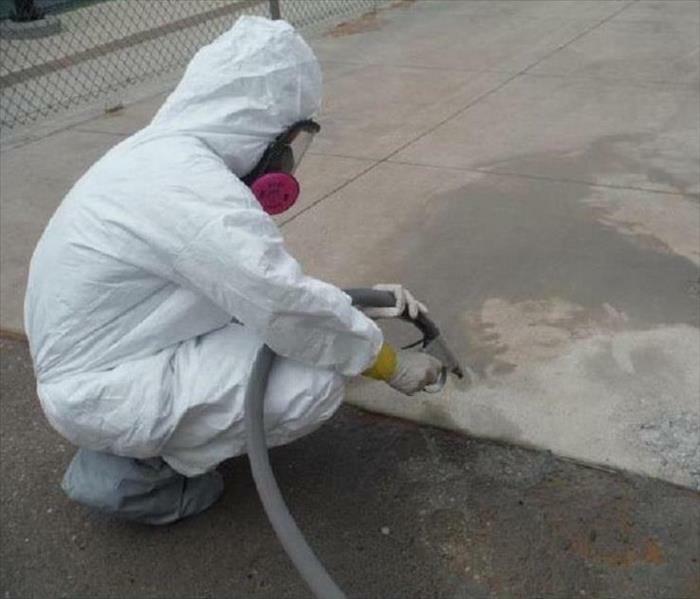 We quickly suited up and removed the contamination and sprayed the area to prevent future problems. 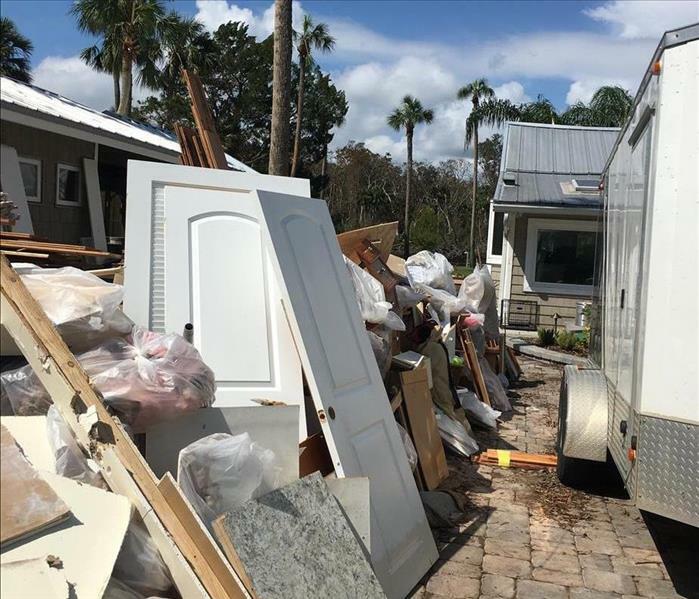 SERVPRO of Big Rapids/Fremont was quick to respond to this Storm Damage in Florida after Hurricane IRMA destroyed homes. When a Storm hit and brought a lot of rain and wind damage to this customers home we were there to help demo their property. Our team worked quickly to extracted all of the water and clean the affected areas. Along with the water removal they also set up equipment to dry the structure out. 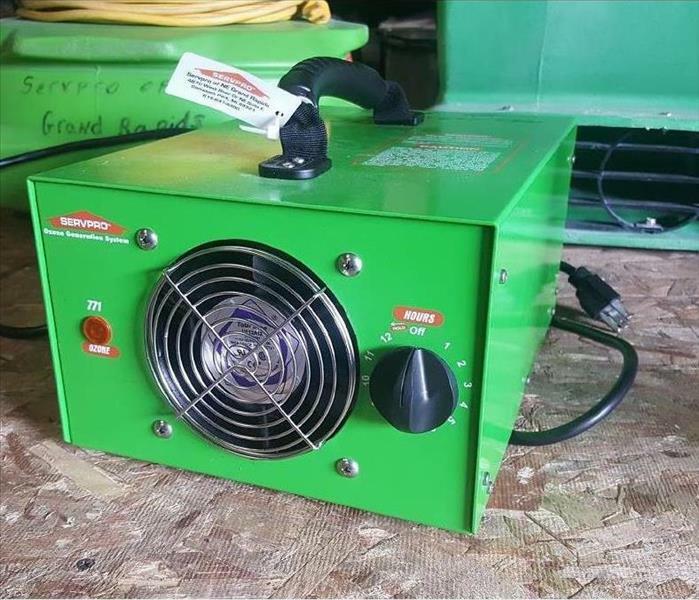 This portable Hydroxyl Generator eliminates a variety of odors caused by animals, cigarette smoke, mold and mildew, or fire and water damage. The machine neutralizes odor molecules and gasses by breaking down their chemical bonds. Using ultraviolet rays and water vapor from the air. Under the White Suit theres a SERVPRO Hero! The Team here at SERVPRO of Big Rapids/Fremont are always quick to respond to a customer that was concerned about mold in the business. We arrived and used our equipment to find behind the wall was mold growth and moisture. 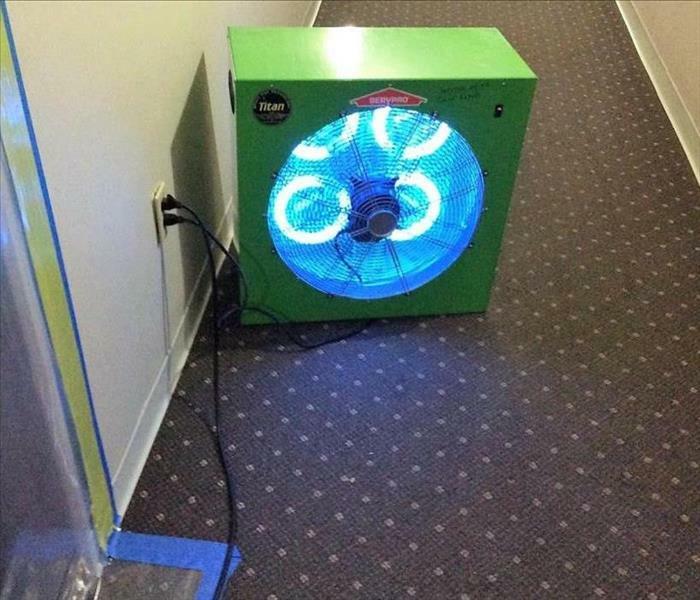 With mold we have to take safety seriously. 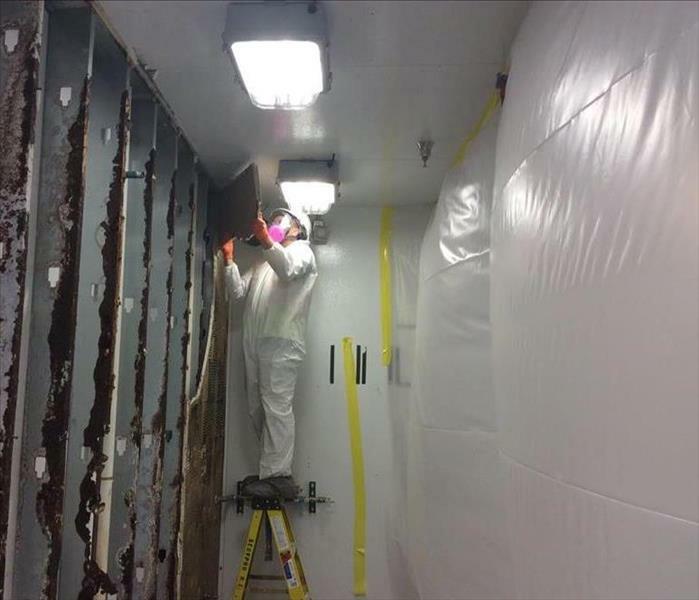 We quickly suited up and removed the contamination and sprayed the area to prevent future problems. The Team here at SERVPRO of Big Rapids/Fremont are always quick to respond to a customer that was concerned about mold in the business. We arrived and used our equipment to find behind the wall was mold growth and moisture. 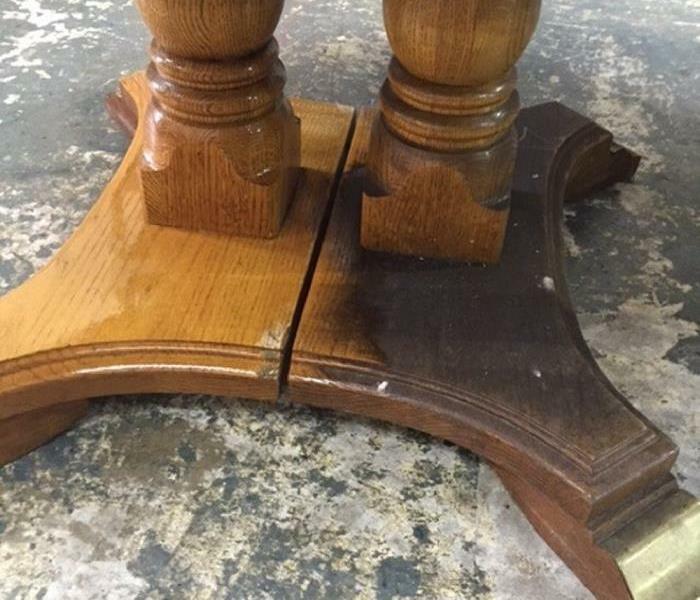 We quickly removed the contamination and sprayed the area to prevent future problems. 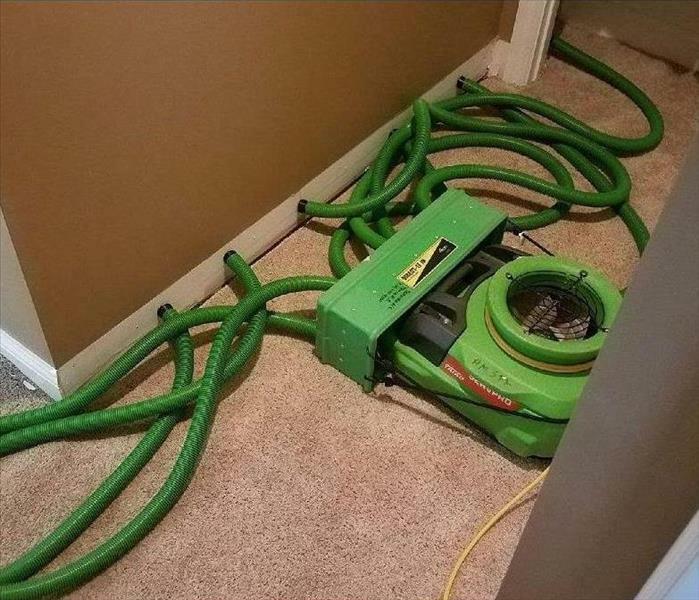 The Team here at SERVPRO of Big Rapids/Fremont are always quick to respond to any situation big or small. In this situation, the homeowners home had a pipe break making the floors and walls wet. 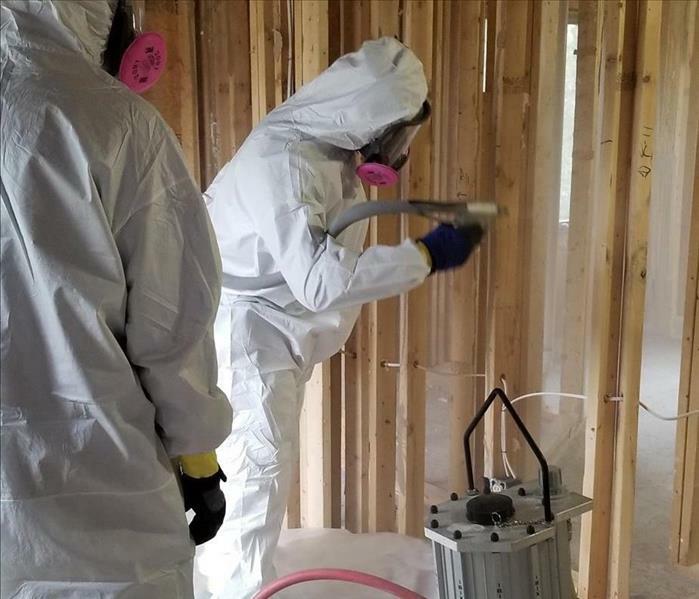 Our team went into their home and removed all materials to prevent mold from forming. Wet Hardwood Floors? We Dry Those! 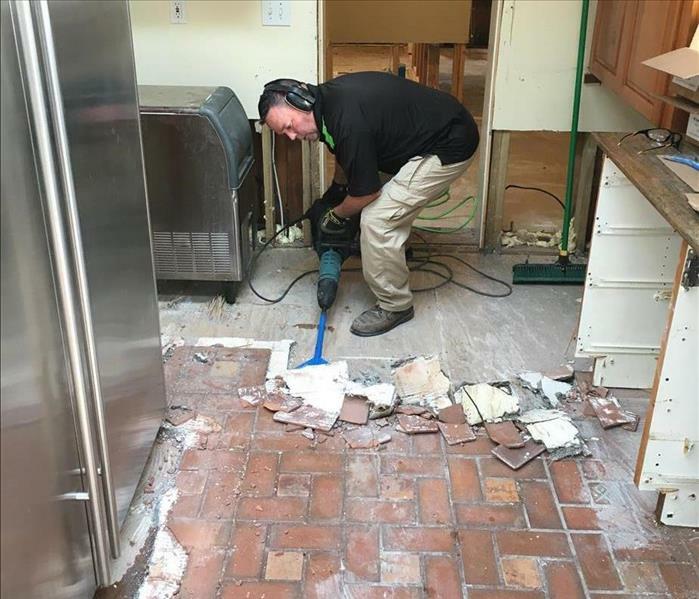 The Team here at SERVPRO of Big Rapids/Fremont are always quick to respond to Water Damage to a customer’s home that affected their hard wood floors. 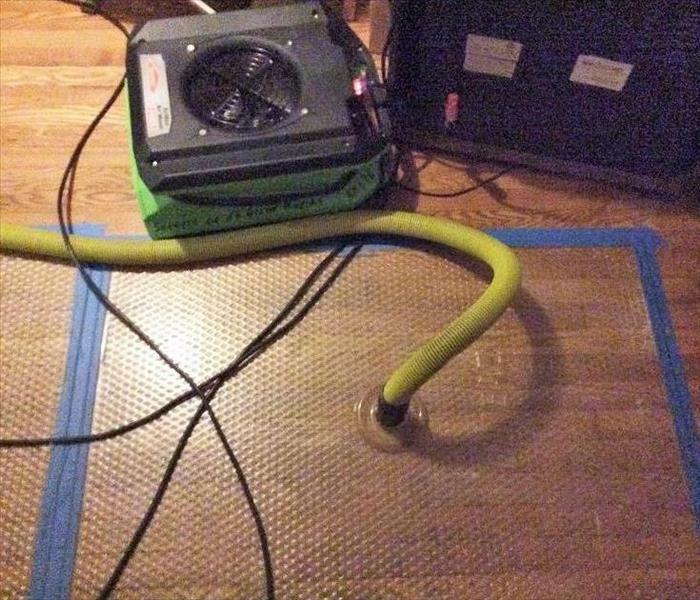 We extracted the water and set up the Wood Floor Drying Extraction Mat system to preserve their floors from damage. 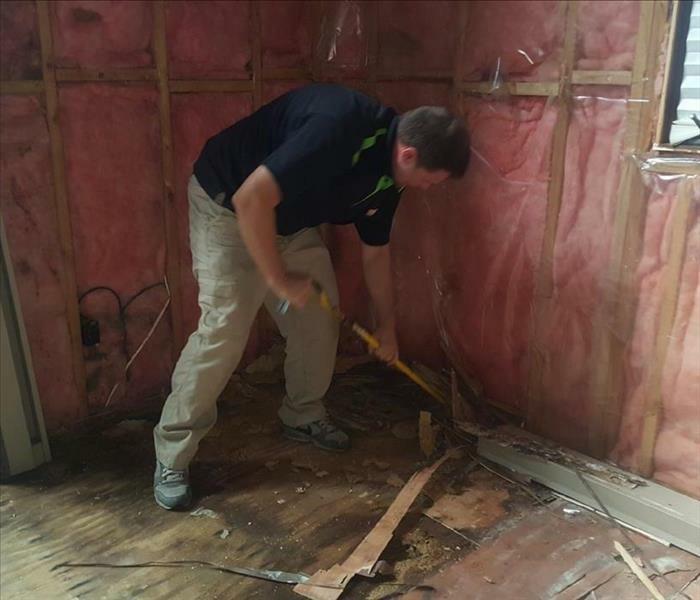 The Team here at SERVPRO of Big Rapids/Fremont are always quick to respond to Storm Damage that flooded a home. We extracted the water and dried the structure to meet requirements. 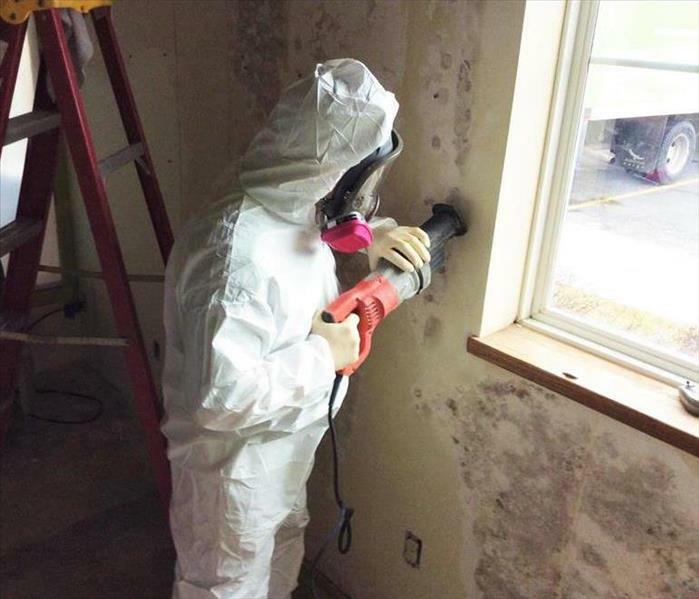 The Team here at SERVPRO of Big Rapids/Fremont are trained professionals that take our safety and your safety serious when dealing with Mold within your property. We wear all the appropriate personal protection for the job at hand. 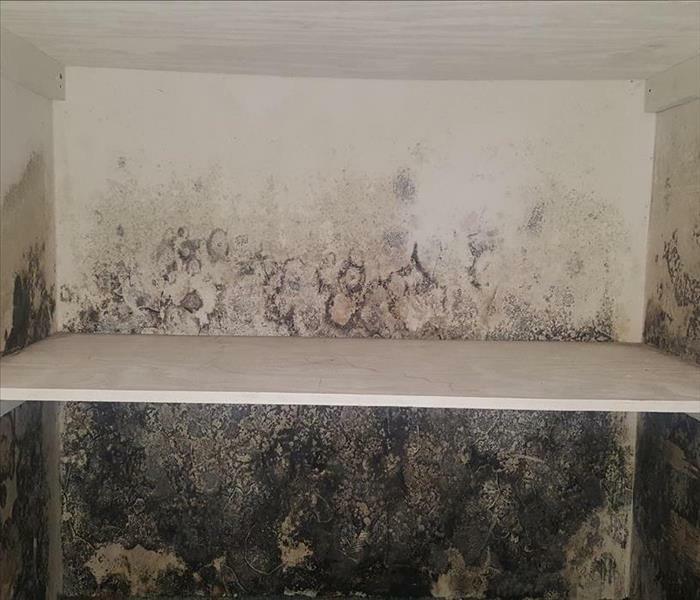 Make sure the next time you see mold call us to take care of it the correct way. This portable ozone generator eliminates a variety of odors caused by animals, cigarette smoke, mold and mildew, or fire and water damage. The machine generates ozone, which consist of unstable oxygen molecules. Ozone chemically reacts with odor-causing molecules to oxidize residues and remove the odors. 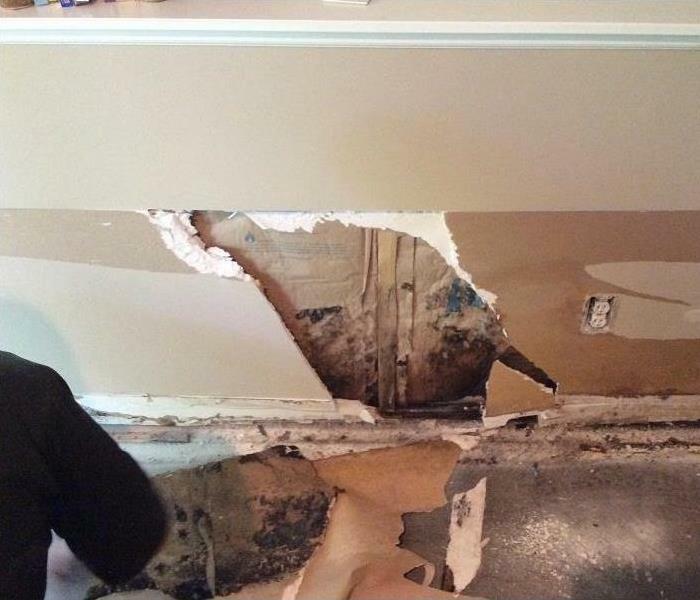 SERVPRO of Big Rapids/Fremont was quick to respond to a water damage at this customers house that affected the walls. The Professionals used Wall Cavity Drying Injection System to dry out the structure. 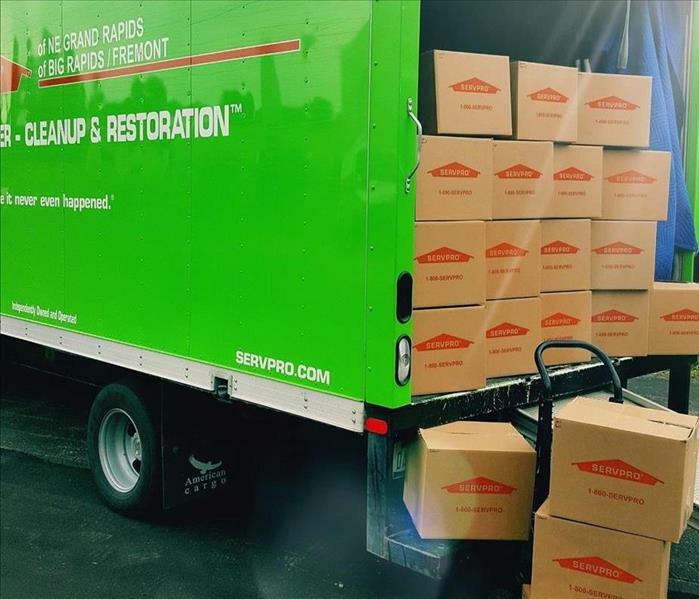 The Team here at SERVPRO of Big Rapids/Fremont are always quick to respond to a customer that had their home flood from Severe Weather. Within hours we responded to help. We quickly removed the water from the area and set up our equipment for the structure to dry. When you cant see it, doesn't mean you don't have it! The Team here at SERVPRO of Big Rapids/Fremont are always quick to respond to a customer that was concerned about mold in the home. We arrived and used our equipment to find behind the wall was mold growth. We quickly removed the contamination and sprayed the area to prevent future problems. SERVPRO of Big Rapids/Fremont was quick to respond to this mold growth. 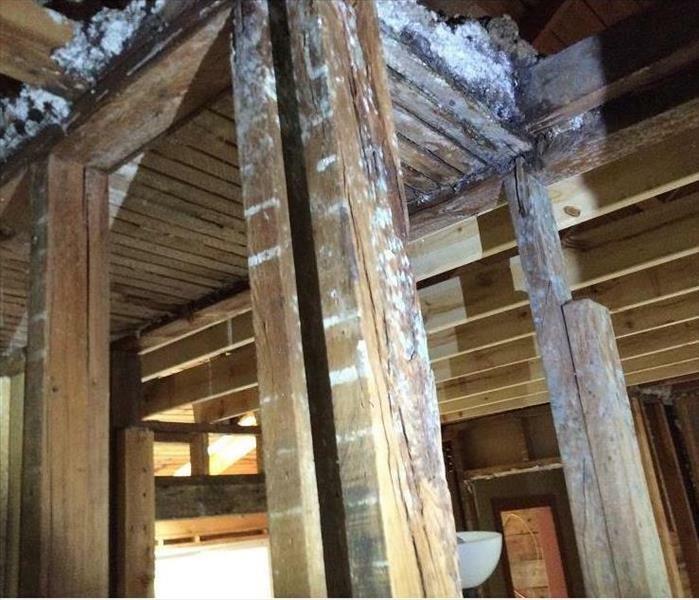 This structure was covered in mold and hadn’t been treated. 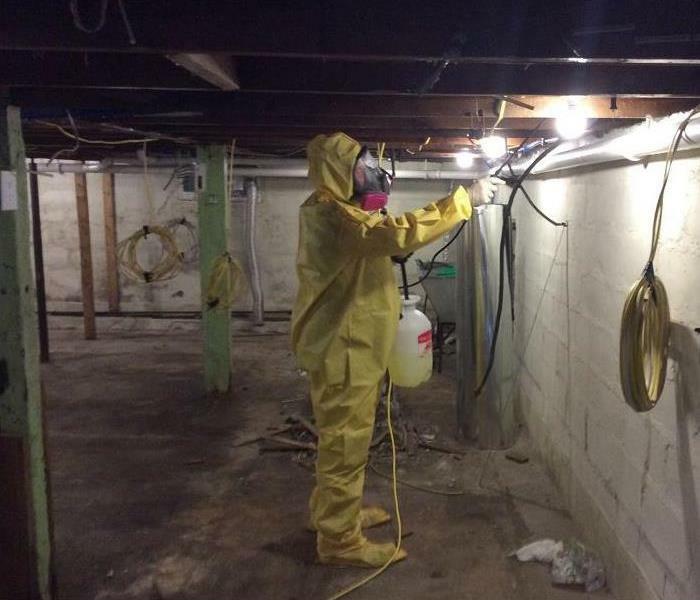 Our team worked quickly to remove all areas that were contaminated. Along with the cleanup we also treated the home with Microbial spray to prevent future damage from happening. 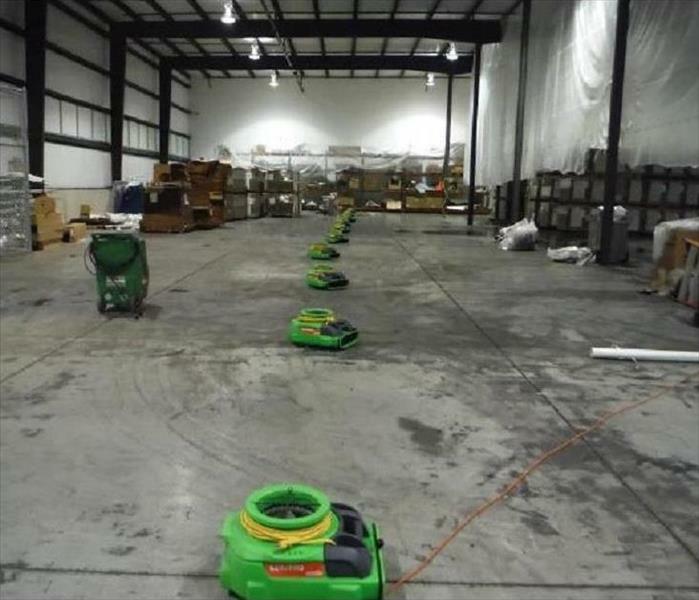 SERVPRO of Big Rapids/Fremont was quick to respond to this Storm Damage job in Grand Rapids, MI. When a Storm hit and brought a lot of rain to create a flood. Our team worked quickly to extracted all of the water and clean the affected areas. Along with the water removal they also set up equipment to dry the structure out. The Team here at SERVPRO of Big Rapids/Fremont are always quick to respond to any situation with our Professional Team. When it came to this House Fire we were there to help clean up the damage. The Team here at SERVPRO of Big Rapids/Fremont are always quick to respond to any size situation with our trucks ready at any time 24/7. When this business faced water damage everywhere we were there in a flash and dried the structure with our equipment. 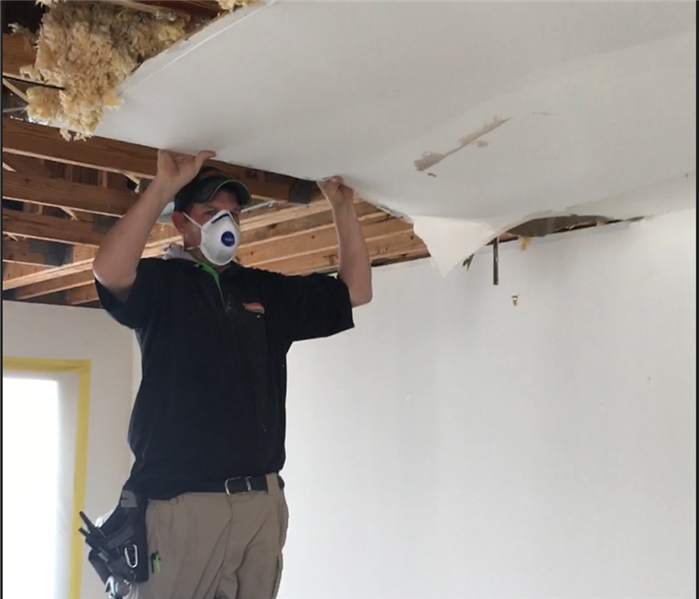 SERVPRO of Big Rapids/Fremont was quick to respond to this House Mold situation in Grand Rapids, MI. 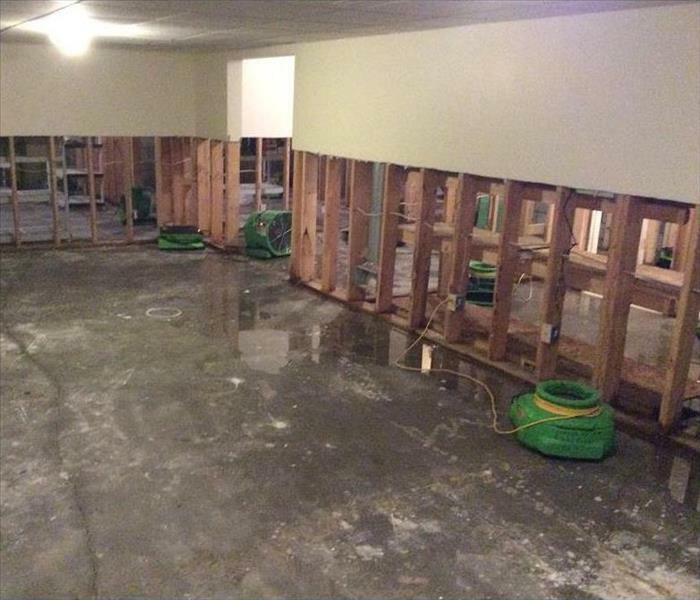 When water loss happened in this customers basement to create perfect place for mold to grow. Our team worked quickly to extracted all of the water and remove all carpet and affected drywall. Along with the cleanup we also treated the home with Microbial spray to prevent future damage. 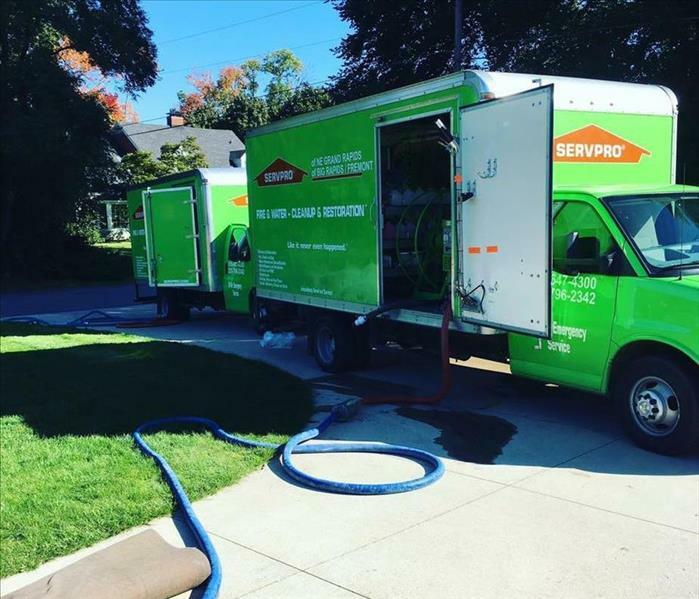 The Team here at SERVPRO of Big Rapids/Fremont are always quick to respond to any size situation for your Business needs. We take pride in knowing that within moments something can happen and We are ready to help you 24/7! SERVPRO of Big Rapids/Fremont is quick to respond for a water and fire loss when it comes to your home. We pack up your things with care and make sure that they are not damaged. We then store them away for you until your house is back in shape. 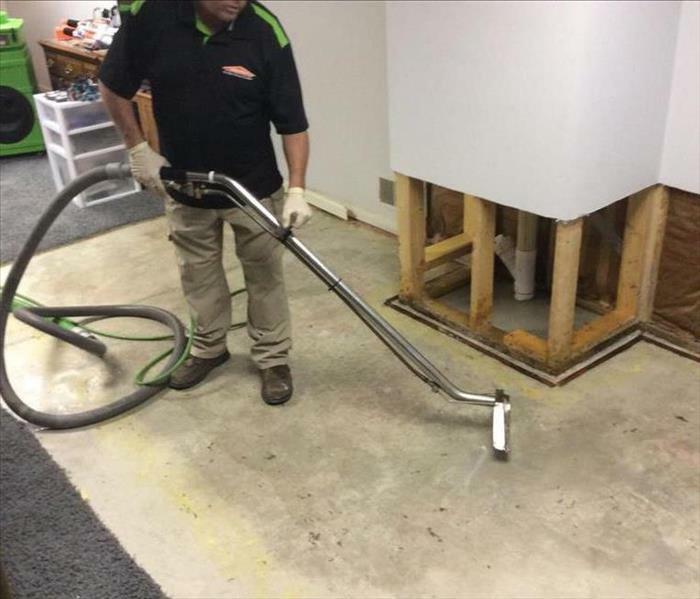 The Team here at SERVPRO of Big Rapids/Fremont are always quick to respond to any Commercial size situation! When your business faces fire and water damage like this business did, we have you covered! 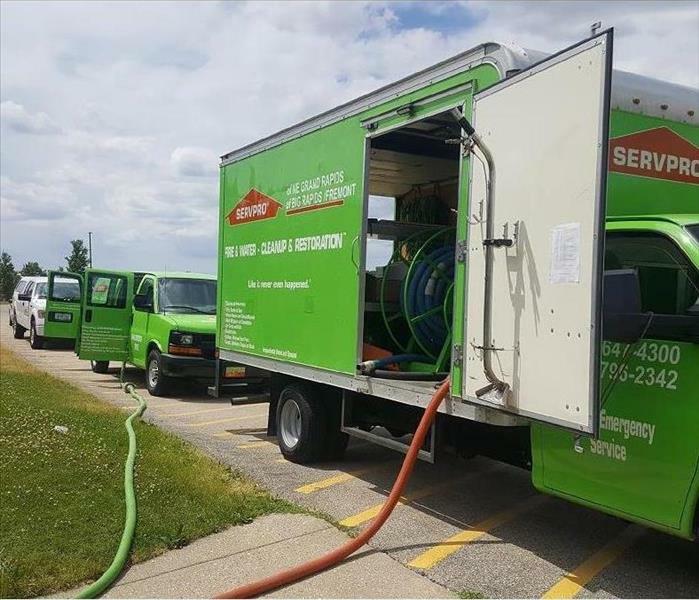 The Team here at SERVPRO of Big Rapids/Fremont are always quick to respond to any size situation with our trucks ready at any time 24/7. We take pride in knowing that within moments something can happen so we can be there fast to help you! 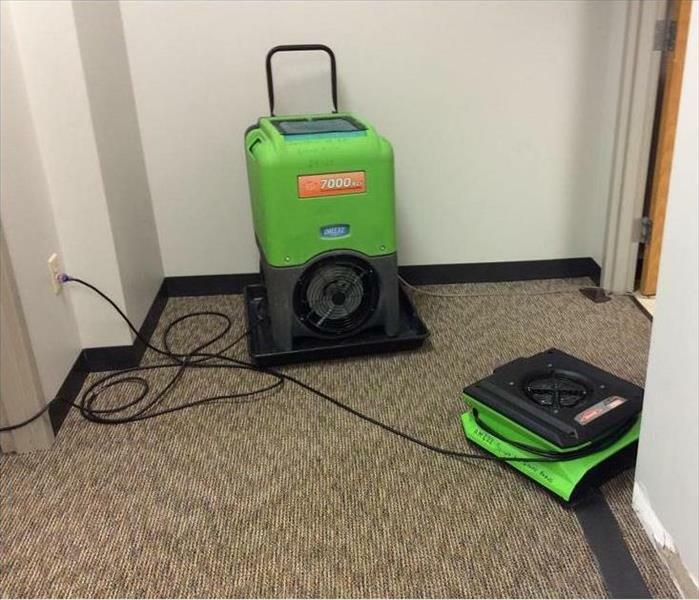 SERVPRO of Big Rapids/Fremont was quick to respond to this water damage job in Grand Rapids, MI. Our team worked quickly to extracted all of the water and clean the carpets. Along with the water removal they also set up equipment to dry the structure out.